Something to look forward to: With its scenes of extreme violence, lots of bad language, and plenty of betrayals, Game of Thrones is a natural fit for the family board game of Monopoly. It seems the original has proved so popular that an updated version is on the way, and this one plays the show’s famous theme tune. The second edition of Game of Thrones Monopoly can be preordered now for delivery in January next year. Like the traditional versions of the board game, players move around as they buy and sell locations, except in this instance they’re places found in the Seven Kingdoms, and you can build castles and holdfasts on the properties instead of hotels and houses. Rather than the usual paper money, the game features silver stag and gold dragon cardboard coins, which are modeled on those used in GoT. There are also 6 “collectible zinc tokens” based on the sigils of Westeros’ great houses, but the coolest addition is the Iron Throne card holder that plays Ramin Djawdi’s famous opening score from the TV series throughout gameplay, though not constantly, one would imagine. 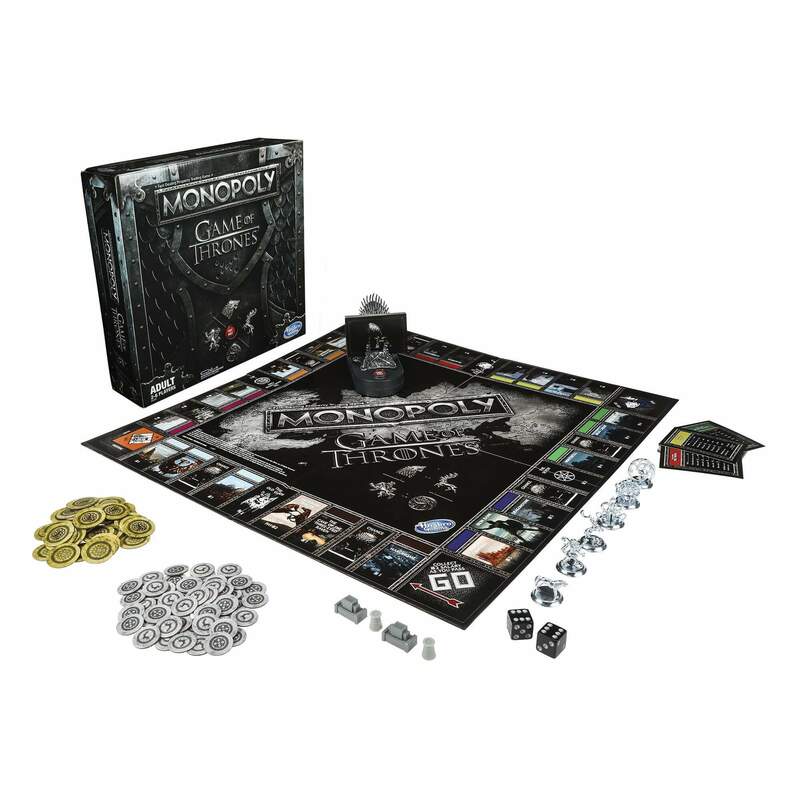 Monopoly: Game of Thrones is available to preorder for $29.99 from several retailers, including GameStop and Amazon.